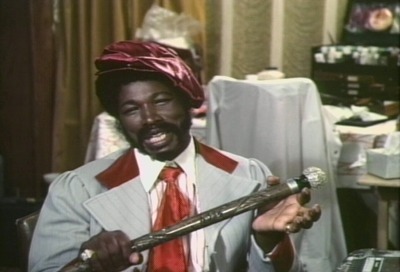 Comedian and actor Rudy Ray Moore has died at age 81, reportedly from complications due to diabetes. Moore is best known for the character of Dolemite, and his films that are part of the blaxploitation genre. The same year as ‘Tornado,’ Moore appeared in ‘The Monkey Hustle,’ opposite Yaphet Kotto. This was the first film that Moore didn’t have a hand in producing, seeing as it was a little larger budget. As is always the way, a film designed for mass comsumer appeal, and starring a conterversial comedian of Moore’s ilk, leaves the viewer wishing things were a bit edgier. Moore later appeared in ‘Petey Wheatstraw,’ and ‘Disco Godfather.’ Sadly, the more movies he made, the worse they got. He continued to act and perform up until a few years ago.